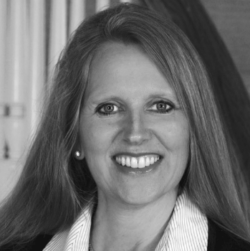 Anne Lusk has over 25 years of experience in real estate. This Lancaster county native started using SmartTargeting in 2015 and is still fascinated by the predictive analytics. Anne values building relationships with the homeowners in her farm and was looking for a system to help her focus on the right homeowners. SmartTargeting has been instrumental in showing her the information she needs to be the first agent homeowners interact with. SmartTargeting uses big data to give agents access to selling predictions so they can narrow their focus and win more listings. The purpose of using predictive analytics is to focus on building relationships with the homeowners that are most likely to list their home. Anne likes that with SmartTargeting her efforts are maximized and that she can confidently say she is interacting with the right homeowners. One of the first listings Anne closed because of SmartTargeting was for $750,000 in a luxury market she was targeting. The predictive analytics identified the homeowner and because she was also taking advantage of SmartTargeting’s automated marketing she was able to keep top-of-mind with the homeowner. With SmartTargeting agents have access to over 400 customizable postcards and fully automated campaigns. The predictive analytics identify which homeowners should receive the marketing, therefore maximizing an agent's marketing efforts. Anne isn’t afraid to prospect and build relationships with the people SmartTargeting identifies for her. She is constantly following up with her homeowners and is keeping an eye on who visits her landing page multiple times. The SmartTargeting platform shows her what homeowners are clicking on so she can tailor her follow-up for each person. Her efforts paired with SmartTargeting has truly made a difference for her business. SmartTargeting works for the listing agent that is looking to dominate in their market.